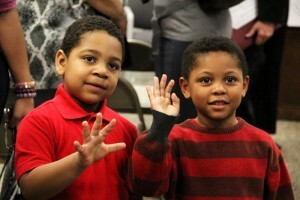 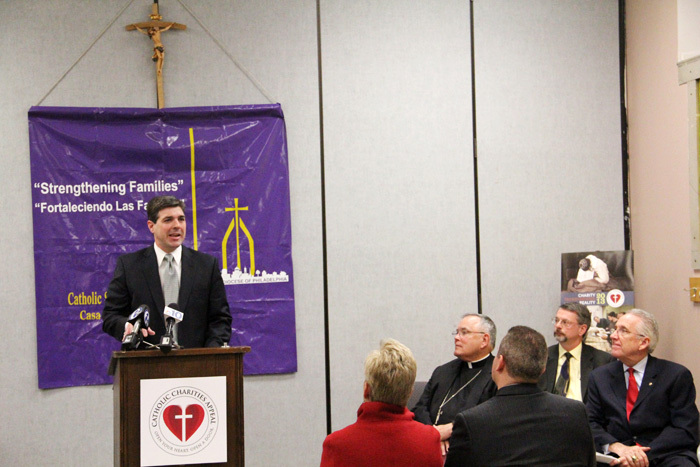 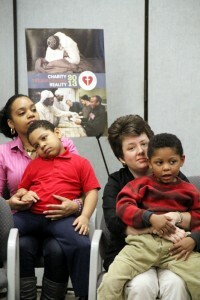 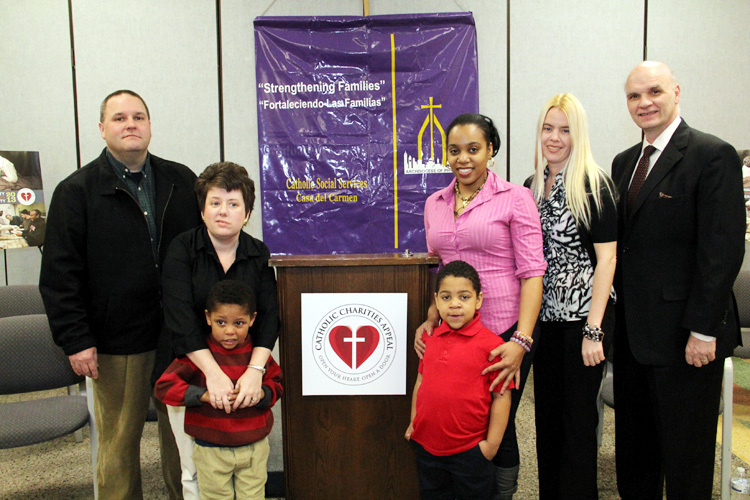 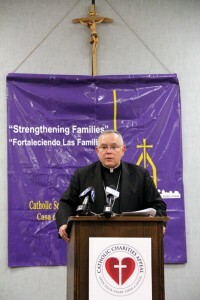 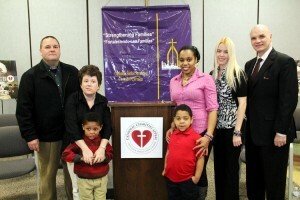 Archbishop Charles Chaput led the launch of the 2013 Catholic Charities Appeal in the Archdiocese of Philadelphia on Friday, Feb. 15 at Casa del Carmen, a family services agency of archdiocesan Catholic Social Services located in North Philadelphia. More than 80 programs, including the vast good works of CSS, benefit from the annual Appeal. 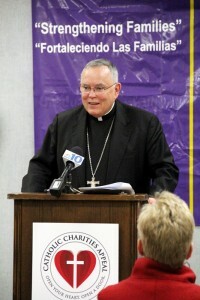 See the Appeal website at CatholicCharitiesAppeal.org to learn more. Paul, Maureen, Gabriel Thomas Zielinski; Frankniel Munoz and Yokasta Helene; Jennifer Bray Rivas; (recipients of Casa del Carmen services) pose for a photo with St. Joe’s coach Phil Martelli. 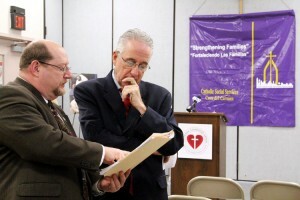 Edward Lis and Joseph Sweeney, secretary for Catholic Human Services, look over appeal details. 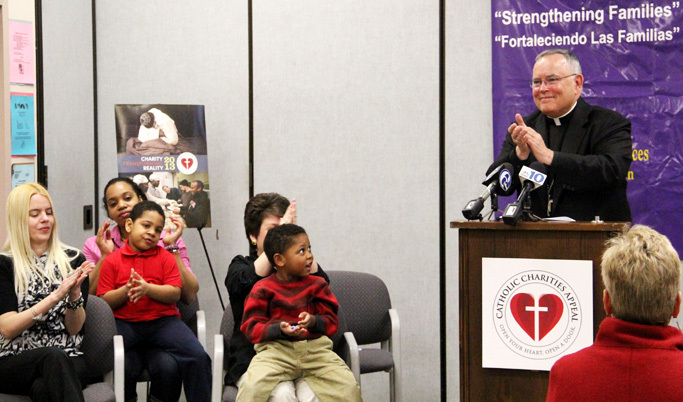 Manus McHugh, chairman of the appeal, acknowledges all the hard work done by those involved in Catholic Charities. 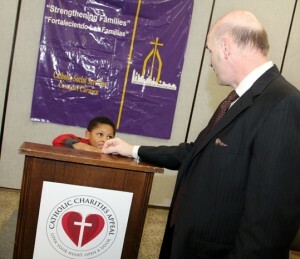 Gabriel Thomas Zielinski gets a turn behind the podium as Phil Martelli encourages him. 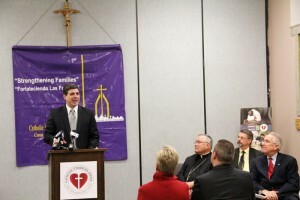 Frankniel Munoz and Gabriel Thomas Zielinski are two recipients of Casa del Carmen services which benefit from the Catholic Charities Appeal.